Thinking about college is an anxiety-inducing experience. This is true whether you’re an 18-year-old freshman moving into a campus dorm, or you’re going back to school while trying to keep a family and career afloat. Will you be able to afford it? How will you balance the time? What will you study? Any of these questions can be paralyzingly scary to answer. However, with more online college options than ever before, students can now take control of all of these questions. With flexible studying plans, generous financial aid options, and a plethora of colleges in Colorado to choose from, online students in the state or anywhere in the country can now have the same quality of schooling as traditional students, but on their own terms. There are many great reasons why someone might choose from the selection of colleges in Colorado. They might want to finish up a degree started at another university. They might be looking for a new career path and see online school as the way to get there. The fact is that many online schools now offer the same educational opportunities as a traditional university, but with a flexibility that is crucial for success. Now, you can have a job, raise kids, live your life, and also get a degree. Colleges in Colorado make this possible. Coloradans especially will understand this crucial flexibility. We know how crazy the I-25 can get in the snow, and your school of choice might not be close by. This way, you don’t have to quit your job, move your family, or drive long distances in the winter to go to school. Everything that you need can be accessed at the click of a button. It’s now easier than ever to attend one of these colleges in Colorado. There are so many different options available to fit your needs. Plus, you do not have to be a tech genius to excel at school. Most schools only require basic technological acumen before you sign up for classes. Through their association with the Colorado Community College System (CCCOnline) and LCC Online courses, Lamar Community College offers students greater flexibility by giving them direct access to online courses, certificates, and associate degree programs. Lamar CC also provides hybrid classes for students who want a mix of traditional and online learning. LCC Online students can choose from hundreds of online courses including Spanish, Fundamentals of Accounting, and more. Full-time students may be eligible for a scholarship of up to $1,000. Online students also have access to such resources as professional advising, one-on-one tutoring, career and transfer advising, and the school’s library and learning resource center. Through the Aims Online Campus, Aims Community College provides students the opportunity to take online courses and complete their degree fully online. Aims knows that the two major obstacles students face regarding higher education is time and money. To help students overcome these hurdles, Aims offers students the chance to get an Associate of Arts degree completely online, allowing students the flexibility they need to fit their schooling into their busy schedules. Aims Online Campus allows students to take classes whenever they want at the lowest cost in Colorado. Students also have the opportunity to mix and match between on-campus and online classes if they wish. Most exams are done online, but some instructors require proctored testing. Proctored exams can be taken at Greeley, Fort Lupton, or Loveland proctored labs. If students can’t take a test on an Aims campus, it is their responsibility to coordinate with their instructor and explore other options. CSU-Global Campus is an accredited public, online university with 25-degree programs and almost 50 specializations to choose from. This university has been open since 2007 and currently has more than 12,000 students. The average cost is $8,400, with an acceptance rate of 96%. The student to faculty ratio is 38:1, and there are a wide variety of financial aid options available. CSU-Global offers career counseling service, as well as academic credits for life experience. The school frequently offers reduced tuition to individuals in the military. Online tutoring and an online library with a librarian available 24/7 are other services that the school offers. The Bachelor’s degrees that CSU-Global offers include accounting, healthcare administration, informational technology, and organizational leadership. They also offer Master’s degrees in criminal justice and law enforcement, management, and healthcare administration. Each program will accept up to 64 transfer credits, and there is no difference between in and out of state tuition. CSU-Global is regionally accredited through the Higher Learning Commission. All of this combined makes it one of the top online colleges in Colorado. UCCS is another school that has been offering online courses since 1996. They currently have 11,300 students on campus, and around 2,000 students enrolled in distance learning programs. They have 18 different online programs, including degrees in business, communication, and nursing. In-state tuition at UCCS costs $7,692, and 28% of students receive financial aid. UCCS currently has 11,761 students enrolled, and they generally accept 92% of applicants. schools, up to 90 transfer credits total. They offer credit for life experience, and around 47% of students will end up graduating. UCCS cannot accept students from Delaware into their online programs. UNC began their online program in 1996, well before most other schools were even thinking about this type of program. They offer 23 degree programs and the school accepts 71% of applicants. The annual tuition is one of the lowest on this list, at $7,733, and 79% of students are on some form of financial aid. UNC is a public university with 12,050 students currently enrolled. They boast a faculty to student ratio of 17:1, and about 46% of students will end up graduating. UNC’s catalog of online programs includes dietetics, nursing, and brewing. They have also recently added a sport’s administration Master’s program. The majority of online professors are the same teachers as on campus, so online students get the same quality of education as on campus students. Online students also have access to campus services, including career counseling, a live librarian, academic support, and tutoring. Western State offers a variety of specialty degrees in the arts, sciences, health, and education. They also offer a teaching licensure program and an Outdoor and Wilderness Education program. The average cost is around $7,874, and 66% of students benefit from financial aid. Western State accepts 97% of students, and 43% of students end up graduating. They have a faculty to student ratio of 15:1, and Western State online students have access to career and academic counseling. While Adams State was originally founded to be a teacher’s college to bring educators to rural areas, they now offer a wide variety of degrees at their campus in Alamosa. Degree options range from Associate’s degrees to Master’s degrees, and you can study such topics as emergency management, business, criminology, and education. Adams State has always been a university focused on serving the needs of minorities. Approximately 3,000 of the 12,500 enrolled at Adams State are Hispanic, and the university has been designated as a Hispanic Serving Institution by the federal government. Adams State is also well-versed in serving the needs of online students. The school has about 2,500 students on campus, and more than 10,000 enrolled in Extended Studies. In-state tuition runs at $8,574, and 70% of students receive financial aid. Adams State accepts 65% of applicants, and 25% of students graduate. They have a faculty to student ratio of 15:1, and students can receive credit for life experience. Students also have access to career and academic counseling services. CSU- Pueblo is one of the most diverse schools in Colorado, with 49.3% of students coming from a minority group. While their online program is fairly new (it started in 2015), they are already offering a variety of degree options, including construction management and math. Students are allowed to transfer up to 90 credits and are required to already have 12 credits before they apply. Tuition costs $5,824, and 48% of students receive financial aid. CSU-Pueblo accepts 93% of applicants and 32% graduate. Students are able to get credit for life experiences, and active military members are eligible for reduced tuition. Online students have access to career and academic counseling services. Colorado State University is a public university in Fort Collins offering more than 40 online degree programs, including bachelor’s degrees in economics, anthropology, and human development, and master’s degrees in engineering, computer science, education, and business. CSU’s online M.B.A. program is ranked number 19 worldwide, according to the Financial Times. As of Spring 2018, tuition for undergraduate degree programs is $462 per credit, not including fees. Tuition for online master’s degrees varies by program. A variety of financial aid options are available to online students, including scholarships, fellowships, federal financial aid, military discounts, and veteran’s benefits. Additional student services include academic advising, tutoring, technical support, and career services. 84% of CSU graduates secure employment or continuing education within six months of graduation. Like CU Denver, Metropolitan State also offers flexibility in where to take your online classes. Some classes are offered solely online and some are offered in a hybrid form, where you take some classes online and some on campus. One of the benefits of classes at Metro is that all online courses are self-paced. Metro now offers 67 different undergraduate and graduate programs that can be completed online. These programs include social work, education, and accounting. In-state tuition costs $6,420, and 18% of students receive some form of financial aid. Metro accepts 65% of applicants, and approximately 25% of students graduate. They have a faculty to student ratio of 20:1, and offer academic credit for life experience. Online students have access to career counseling services. Colorado Mesa University offers 15 online programs, in the liberal arts, professional, and technical fields. In-state tuition currently runs at $7,474, with 35% of students benefitting from some form of financial aid. 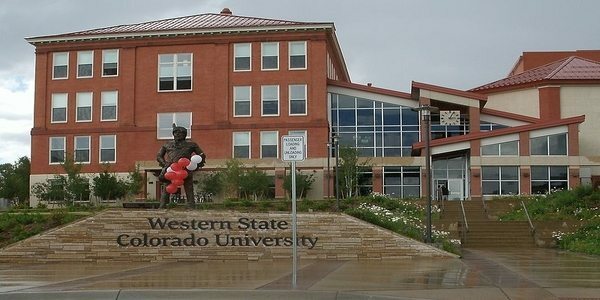 One of the benefits of Colorado Mesa University is that their programs focus on career readiness, and making sure that students will be hireable after graduation. CMU accepts 82% of applicants and 33% of students graduate. They have a faculty to student ratio of 23:1, and the school offers academic credit for life experiences. Students have full access to the library, as well as academic and career counseling services. Become a part of Buff culture without having to move to Boulder! CU Boulder is one of the top universities in the state of Colorado, and they now offer the same quality through their distance education program. This program offers a variety of Bachelor’s and Master’s programs, as well as Professional Development courses through their ACCESS program. The cost of online school is by credit and is the same price for in and out of state students. Depending on credits, each semester could cost up to $5,698. 45% of CU Boulder students receive some form of financial aid, and the school accepts 84% of applicants. They have a faculty to student ratio of 15:1, and 68% of CU students graduate. CU online students have access to university counseling and academic counseling services. Become a student at the top research institution in Colorado! One of the benefits of CU Denver is that you can choose to spend some time learning online, and some time on campus. There is a lot of flexibility available, so if you want to take one class on campus, or have a semester on CU Denver’s beautiful campus, you can make that happen. There are 20 degrees available to online students, including criminal justice, communication, nursing, and early childhood education. Additionally, CU Denver online professors are the same as on campus, so you get the same quality of education. The in-state tuition runs $8,692, and 48% of students receive some form of financial aid. UC Denver has a faculty to student ratio of 15:1, and 45% of students will graduate. Many school services are available to online students, including career and academic counseling. If you are looking for a college education that thoroughly integrates Christianity, Nazarene Bible College is your ideal place. They offer a variety of specifically Christian degrees, including pastoral ministries, Christian counseling, and biblical theology, all through their online program. They currently have 21 online degree options, and they accept 100% of applicants. Tuition currently comes in at $11,400, but they have a faculty to student ratio of 10:1, and you can get college credit for life experiences. Johnson & Wales teaches more than 16,000 students through their four campuses and their online learning program. Their catalog of online programs includes many unique offerings, such as baking and pastry arts, cyber security management, and food and beverage entrepreneurship. The average cost is $28,239, and 97% of students benefit from financial aid. J&W accepts 82% of applicants and about 55% of students graduate. 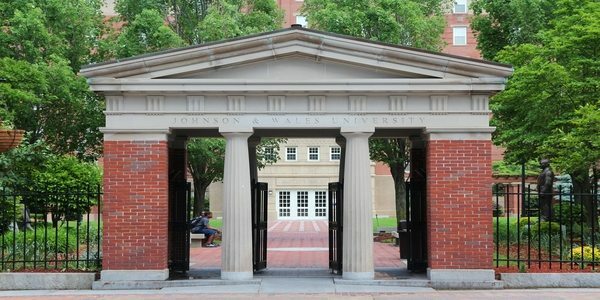 They have a faculty to student ratio of 17:1, and Johnson & Wales is considered a military friendly university. Online students have access to academic and career counseling services, live librarians, and can receive credit for life experiences. While the University of Denver is one of the most expensive schools on this list, it is worth the quality. DU is a private, not-for-profit school which offers six online Bachelor’s programs and 11 types of Master’s degrees. These include Bachelor’s degrees in environmental studies, global studies, and communication arts, and Master’s degrees in healthcare leadership, security management, and information and communication technology. The average cost is $41,112, but 81% of students have some form of financial aid. DU accepts 76% of applicants and has an 11:1 faculty to student ratio. Up to 64 credits are transferable, and DU encourages applicants to have at least 24 credits before applying. The graduation rate is 76%. DU also offers career and academic counseling, as well as 24-hour technical assistance. If you’re looking to attend a university that incorporates Christian values, look no further than CCU. Each class utilizes and integrates Christian faith in the curriculum, and each applicant is required to commit to living a biblical lifestyle before they are admitted as a student. CCU offers a variety of Bachelor’s and Master’s degrees, including accounting, business administration, nursing, and counseling. The average cost is $25,930, and 97% of students receive some form of financial aid. CCU has a faculty to student ratio of 14:1, and you can receive academic credit for life experience. Additionally, you can transfer up to 90 credits for an undergraduate degree. CCU is also considered a military friendly university, and they offer a reduced tuition to active members of the military and their adult dependents. CCU online students have access to academic and career counseling services, and approximately 42% of students graduate. Regis University is a private, not-for-profit Roman Catholic university in Denver. They offer 30 different Bachelor’s degrees, including criminal justice, finance, and marketing, as well as 39 Master’s degrees, including, education, health services administration, nursing, and nonprofit management. The average cost at Regis is $32,460, but 95% of students receive some form of financial aid. Regis accepts 96% of applicants, and 59% end up graduating. They have a faculty to student ratio of 14:1. One of the benefits of Regis is that they not only offer career and academic counseling, but they also offer course credit for life experience. They also offer access to live librarians and online resources, as well as writing coaches. Discounted tuition is offered to employees of companies that currently have an active partnership with the school. Right now, this list includes the United States Postal Service, Cigna, Staples, Comcast, and Hewlett-Packard. Any school from this list is an excellent place to begin your online academic journey. Each of these online colleges in Colorado listed here has taken great care to provide the best academic experience that they can provide. We are always looking to make our lists and rankings stronger, to make sure that we are providing our readers with the most accurate information. Our ranking process has focused primarily on the intersection of academic quality, the strength of the online program, and affordability. In addition to this, we have also taken into account the types of courses and degrees that are offered, the availability of academic and career counseling services, the availability of scholarships and financial aid to students, the quality of the faculty, including the faculty-to-student ratio, school accreditation, and a total return on investment. What do you think? Are there any colleges we missed that you believe deserve consideration for a future list. If so, please contact us today!